At this time of year many sheep lose their lambs and many newly born lambs lose their mothers. 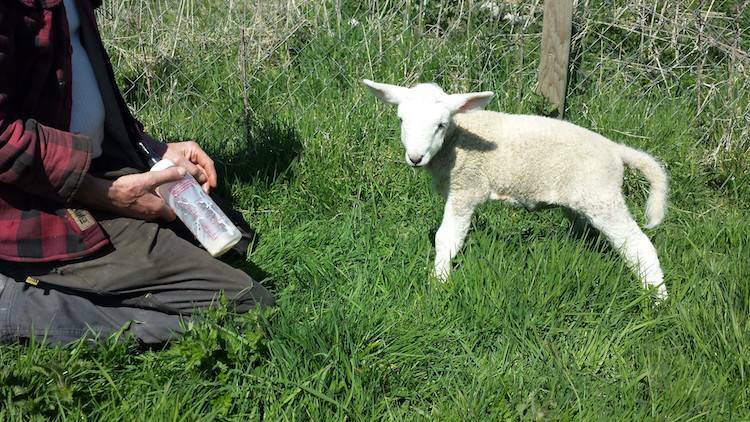 Farmers often try to get bereaved mothers to foster orphaned lambs. Others bottle feed the orphaned lambs, often to be sold as ‘pets’. Having formed this bond of friendship, paternity, and intimacy with humans, they, like every other sheep, are duly sent to the slaughterhouse to face their brutal deaths. It is one of the worst examples of betrayal in the animal agricultural industry. Farmer of Yoshoda and Krishna: "She was for the [meat] factory but when I was scanning the ewes she ran into the scanner with the rest of them and she was marked as with twins. I wouldn’t kill her when she was in lamb." For some busy farmers bottle feeding is impossible given the workload of farming. They give the lambs away. Krishna is one of those lambs. His twin sibling died and his mother became fatally ill with twin lamb disease. He arrived at Eden still wet from birth with the exquisite scent of the newly born. He is a big lamb with the capacity to thrive in a sanctuary setting where the tragic cycle of birth and death for human use will end. Without his mother and with only a frightened, undernourished sheep as companion, his hungry little mouth initially struggled in bewilderment to find nourishment. He has now learned to suckle a bottle and is tentatively gaining strength and showing the first signs of playfulness. He arrived with Yoshoda (foster mother of Krishna). She had just lost her twin lambs. Yoshoda is a very small sheep by nature, but she is also skeletal and extremely nervous. No doubt she is traumatised and grief stricken. She is producing very little milk and although she wants to feed and foster Krishna it seems to be too painful for her. She has been unable to eat and requires bottle feeding. In fact, on examination she has no teeth indicating that she is a good age. Who knows her full history. 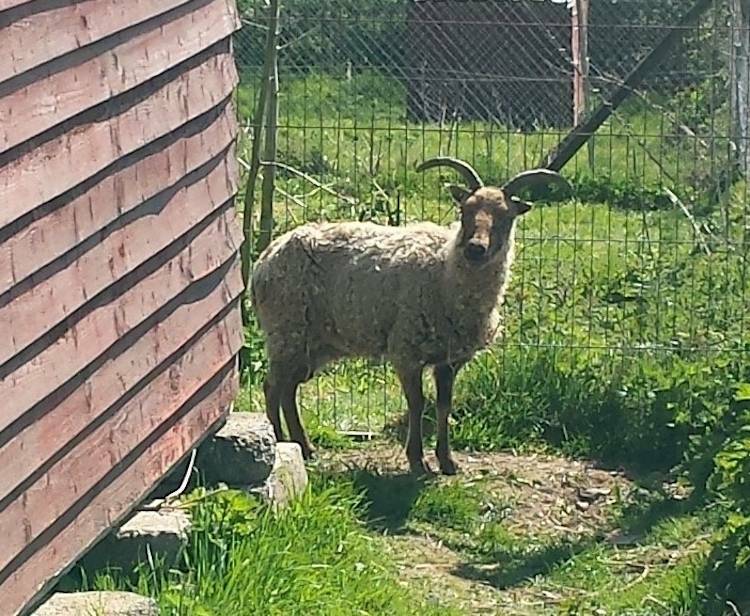 She narrowly escaped slaughter earlier this year by joining the sheep on the farm where she lived as they were scanned for pregnancy. Yoshoda was found to be pregnant with twin lambs and spared slaughter. Her extreme thinness, small build and wild nature rendered her of little profitable value to animal agriculture and so she was willingly given to Eden. She has been given antibiotics for a slight udder infection along with pain relief, multivitamins, and a mixture of warm molasses and beet pulp, milk replacer and a substance to stimulate her rumination. She is beginning to show the first signs of recovery. When we approach her to care for her she attempts to escape and knowing the impossibility of escape she sinks into the ground in pitiful submission, her strong spirit broken by human use. 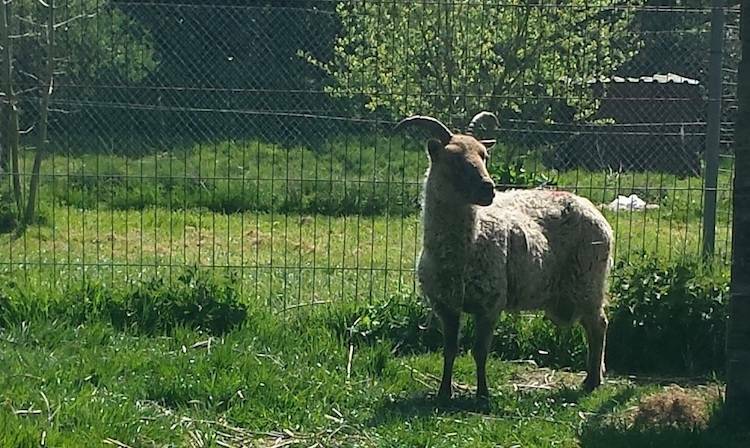 It is our fervent hope that she will regain that spirit and her physical strength, and allow us to express the tremendous love and respect for her that is already in our hearts and that she will eventually make friends with the other sheep residents at Eden.